Chop the vegetables and place them inside a pan. Add the buckwheat and the water. Let the vegetables cook to your taste. When it's finished, grind the soup with the magic wand. When done, season with salt and a dash of organic olive oil. 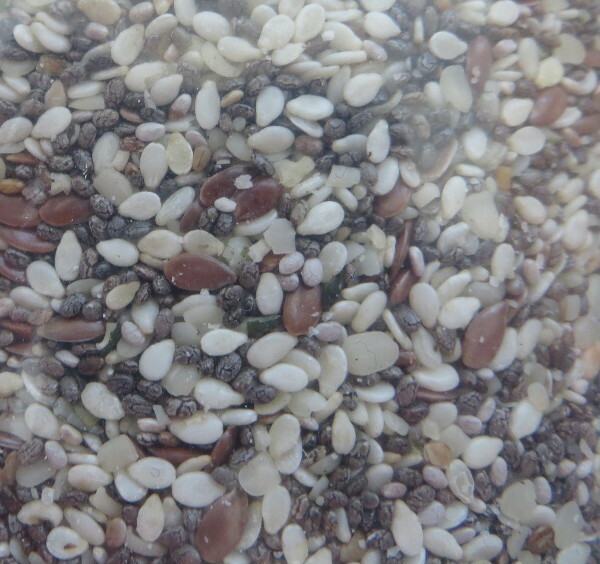 Add the tukmaria seeds, mix well and enjoy.